Geologists may finally be able to explain why Denver, the Mile High City, is a mile high: water. A new theory suggests that chemical reactions, triggered by water far below the Earth's surface, could have made part of the North American plate less dense many millions of years ago, when the continents we know today were still forming. Because plates float on the Earth's mantle, parts of the Western United States might have risen, like an empty boat next to one with heavy cargo, pushing the vast High Plains far above sea level, according to the theory formulated by geologists Craig Jones and Kevin Mahan at the University of Colorado-Boulder. Their work appeared on the website of the journal Geology and is a big deal for Denver, where the 5,280-foot elevation is a point of pride and a big part of the city's identity. At Coors Field, where the Colorado Rockies play baseball, a single row of purple seats interrupts about 50,000 green ones, marking the mile-high line in the grandstand. Geologists have long been puzzled by how the High Plains could be so big, so high and so smooth. The plains descend gently from roughly 6,000 feet to 2,000 feet above sea level as they stretch for thousands of square miles, from the Texas Panhandle to southern Montana, and from western Kansas to the foothills of the Rocky Mountains in Colorado. It's well established that much of the West was still at sea level 70 million years ago and that tectonic shifts don't fully explain the High Plains' altitude. The lifting began long after the ancient Farallon oceanic plate was shoved deep under a vast part of western North America and then settled deep into the planet's mantle over millions of years. They suggest that water that had been locked in minerals in the Farallon plate was released because of pressure from the overlying rock and heat emanating from the Earth's core. The water then rose into the continental plate, setting off chemical reactions that turned garnet and other dense minerals into mica and other less heavy minerals, making vast areas of the crust lighter. Jones said the Earth's crust under the High Plains "floats higher" over the mantle, much like a plank of buoyant balsa wood rises higher in the water than a plank of dense pine. Few geological formations appear so uniform on such a vast scale as the High Plains the only other known location in the world that's similar is in southern Africa, Jones said. The prevailing theory there is different, involving some other source of buoyance, Mahan said. The composition of rocks found in the High Plains is strong evidence in favor of the hypothesis, Jones said, but it needs more testing and that was one reason for publishing it. "Do we think this is 'the' answer? No. Could it be 'an' answer? I suppose it's possible," said Jones, who is also a fellow at the Cooperative Institute for Research in Environmental Sciences, a partnership of CU and the National Oceanic and Atmospheric Administration. Not knowing why Denver is a mile high is a little awkward for Colorado geologists. Jones recalls having to tell a British TV producer a few years ago that he couldn't explain it. What is the origin of applause? Denver makes a big deal about the mile high because nobody knows how the mile is a mile high. So people are curious about it. 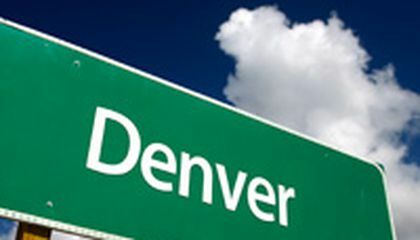 I think Denver makes a big deal over its "mile high" status to attract tourists and earn more money for the state, and because they can take pride in being different than any other tourist location. The methods and procedures that the geologist used can't reach a hard based and backed up reason for Denver, Colorado's great height. 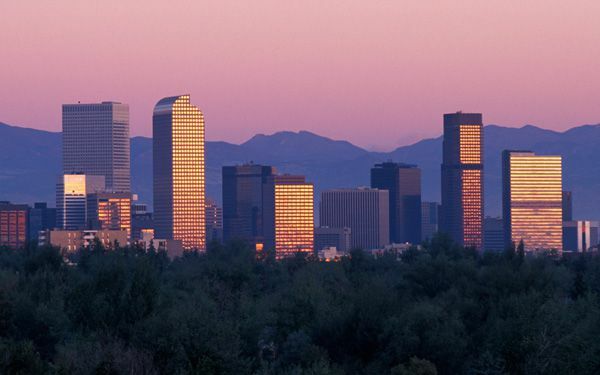 The location of Denver has a unique environment, and I have to say that the elevation of the land is quite special, but the question is how did it become so special? It could be from many things, with the Earth being extremely unpredictable, so it's ok for the reason to be still undetermined. Denver probably makes such a big deal about it because it is a title that only they can claim. It's sort of a pride thing. This is quite interesting because I would have never guessed that water was the reason that cities and towns can be built so high. This is pretty cool. I am surprised that there is any question as to why the city has this nickname. I would think that this is something that they would know, certainly by now. "Embarrasing" indeed. This is all really cool and interesting stuff that i never really knew about. But i think its cool how its so high and nobody really has a good or reasonable explantion for it. Because that is one of the things their known for, so they want to make sure people know of it. It's like when people call New York the big Apple, because they want to be called it, so they make sure people remember it. Some of those rulers weren't above hiring professionals, either, people who literally clapped for their dinner to manipulate crowd reactions. Speaking of trained monkeys, we're not the only species that put our hands together. Other great apes like gorillas, chimps and orangutans sometimes clap their hands to draw attention. But applause -- clapping as a sign of approval or joy -- is actually a learned behavior, and for the most part, it seems to be limited to humans. Bravo to us humans. For more stories like this, check us out every day at Smithsonian.com.